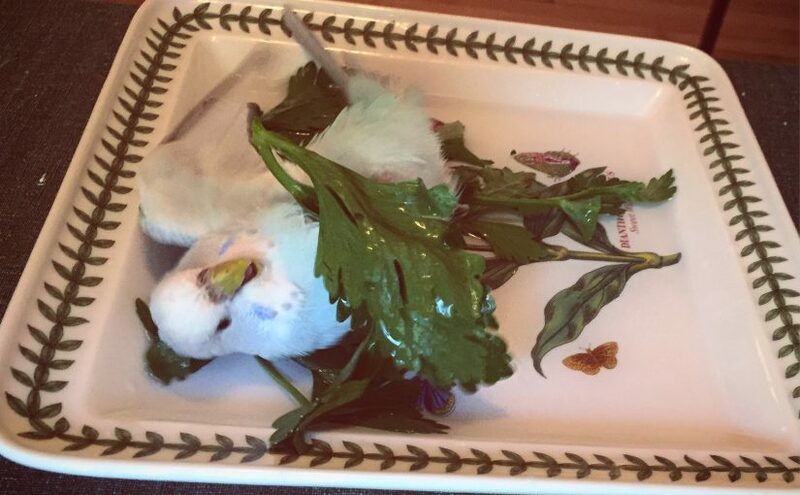 A common question that many parakeet owners have (frequently said with great anguish and frustration) is, “why does my budgie keep pooping in his water?” First, I would offer an assurance that the budgie is probably not purposefully soiling his water and food sources. Second, I would suggest that his current cage design and food/water sources probably unwittingly encourages this to occur. Here are some tips to consider when troubleshooting the issue of poop in water or food. Level design – Anyone who has played Super Mario Maker knows how important level design is to making a good play-through experience. The same theory holds for designing the interior landscape of your budgie’s cage. You can plan ways to make transitioning from perch to perch easy, as well as how he will access toys, food and water. This can be helpful when planning for a comfortable sleeping space for your parakeet. Where it is truly critical is in making sure that the areas above food and water bowls are free of toys and perches, greatly reducing the likelihood that poop will fall into the food and water from above. It stinks losing usable cage space that way, but anyone who has put a food or water bowl below what turns out to be a favorite napping spot knows the fallout is not worth it! Fully enclosed water bottles – Our parakeets have Stainless Steel Hanging Bowls , which are largely ignored in favor of Lixit Bird Waterers , which offer a straw to drink from and no opening at all for water to be contaminated. They do have to be very carefully scrubbed to discourage bacteria growth, so be mindful of that! Other than the additional cleaning requirements these are perfect, both Toby and Kelly far prefer drinking from this style bottle to a bowl. There are also Silo Waterers which achieve essentially the same result with a small pool of water that would be much harder to dirty. Mostly enclosed food bowls or silos – Similar to the water silos there are also Silo Bird Feeders and Cup Feeders that would both greatly reduce the opportunity to poop in food. There are also covered feeders like the Seed Corral No Mess Pet Feeder – although it looks to me like the parakeet could go into the bowl and sit in their food, which would probably defeat the purpose on that one! Purposefully placing blocking items above bowls. Getting back to the concept of level design, you can thoughtfully place blockers above food and water bowls to protect them from fall out. Some ideas would be the Polly’s Comfy Clam Bird Perch , a Round Natural Wood Bird Perch or a Lava Ledge , which are also good for chewing and perching on to keep beaks and nails in check. 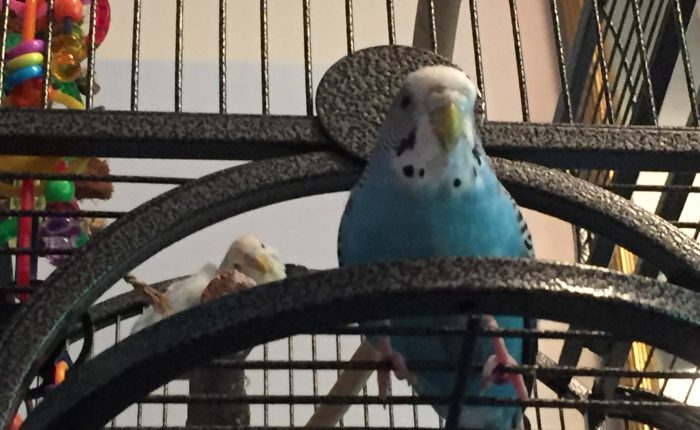 With a keen eye for environment design and possibly changing up the food and water sources I am confident that you can greatly reduce the amount of poop soiling your budgies’ food and water dishes. 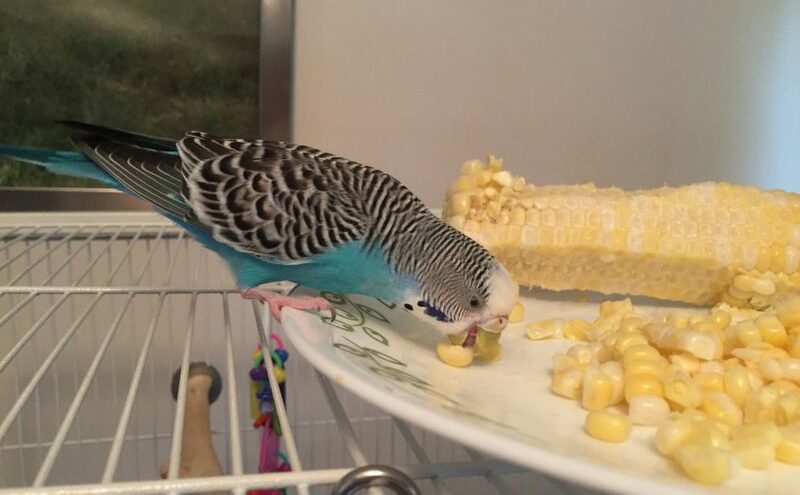 Outside of the issue of poop, always make sure to wash your budgies food and water bowls regularly. 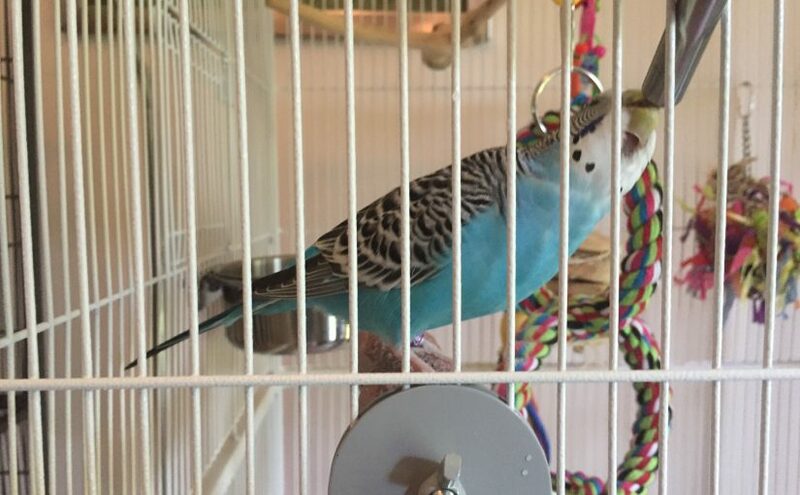 Will my parakeet poop on me? Seriously though, your parakeet will definitely poop on you and everything else. Parakeets poop about every 5-10 minutes. They even poop in their sleep! The good news is that their healthy poops are generally soft but dense, you can pick up a fresh poop just by touching it with a paper towel, and dried poops can be vacuumed or swept up easily. Parakeet poop also does not stain, at least any fabric that I’ve worn around them so far. Do I suggest you throw on your best silk kimono before hanging out with birds, probably not, but you also don’t need to start sheeting yourself and everything else with plastic. 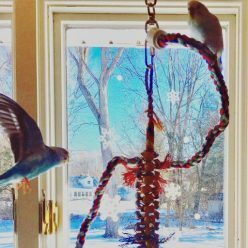 The house-wide poop issue applies more to parakeets that spend a lot of time out of their cages, and parakeets that are fully flighted, since a clipped parakeet will tend to hang out wherever you put him. The popular hang out spots for our parakeets all have some sort of easy to clean or disposable poop-catcher underneath, which cuts down on a lot of clean up. On other spots that are not technically for the birds but get a lot of visits we’ll keep some folded up squares of paper towel to deal with poops as needed. The parakeets like to hang out with us on the couch, or on the table while I’m working at my laptop. the toys are a sad attempt to discourage them from chewing on my keyboard! If they are running around on the floor together we come in after them and clean up anything they leave behind. Larger parrots can be trained to poop only in certain spots, so when they have to go they return home (or to a specific perch) to do their business. I think that technically it might be possible to train a parakeet that way, they do have a “tell” of fluffing up a little bit right before they poop. You could conceivably watch out for that, put him back on a perch each time and then reinforce with a treat/clicker training techniques. It would certainly take a lot of effort and vigilance and I’m not sure it would be worth it, the parakeet having to take a break in his fun time so often versus the relatively minor inconvenience of the poops. I mentioned in an earlier post it’s probably not a great idea to encourage your parakeet to hang out on your head, even though it’s cute. Poop is another part of that warning. It’s easy to remove the poop should it occur, especially once dried, but I can see how there would be a level of “ick” involved for some. Into every ‘keet life some poop must inevitably fall, but one you get over the initial weirdness of having to deal with bird poop it becomes just another part of your clean up routine. Posted on August 19, 2016 April 12, 2017 Categories Our Parakeet Story, Products and ReviewsTags basics, new parakeet, parakeet poopLeave a comment on Will my parakeet poop on me?